GE ServiceMax makes field management software that helps field technicians provide service more efficiently and increase customer satisfaction. ServiceMax does things like automate the dispatch of technicians. The right technician is sent to the customer, with the right parts in their truck so that the issue can be resolved without the need for a return trip. Technician routes are optimized to minimize travel time between jobs. And technicians have all the customer details at their fingertips, so they can dive right into resolving the client's problem without having to hunt around for warranty documentation. 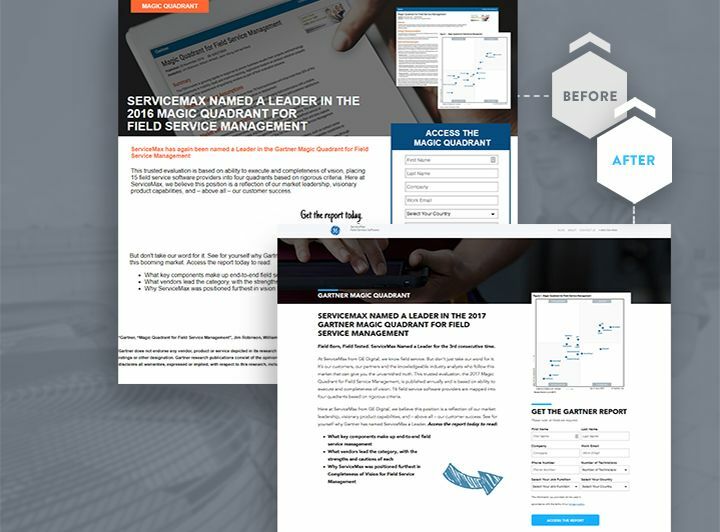 ServiceMax uses its website to generate sales leads. Spiralyze was engaged to increase the quantity and quality of inbound leads. 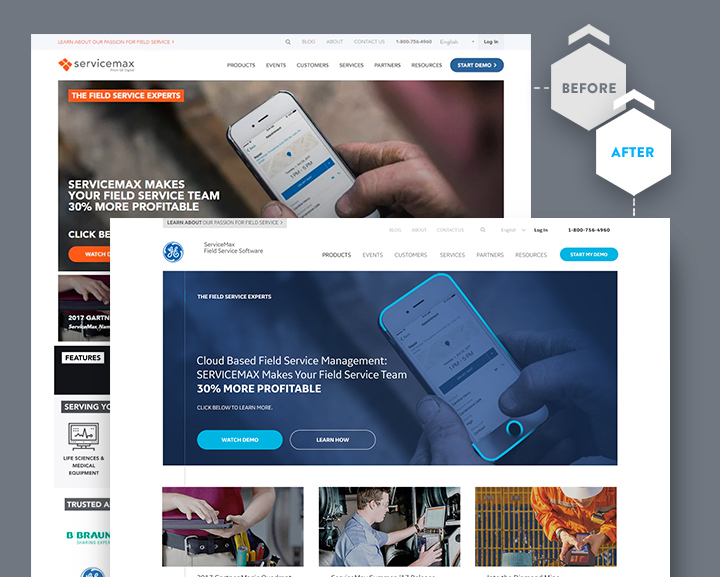 ServiceMax operates hundreds of landing pages catering to specific industries and problem solutions. Spiralyze used a pilot, prove, and scale model. Test concepts are piloted on a small group of the most highly trafficked landing pages. Wins are validated on a larger set of pages to verify that the test hypothesis holds up over a broader range of pages. 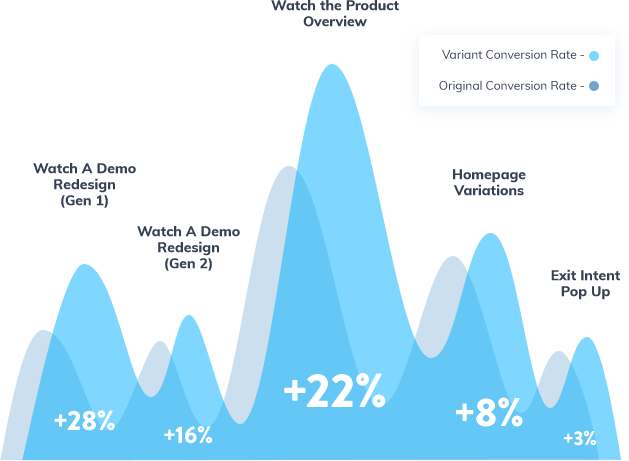 Finally, winning concepts are templated and scaled across all landing pages. ServiceMax software provides customers with a full-featured solution for managing their field technicians. Prospects need to be presented with the right features at the right time to maximize their chance of converting. Too much detail, and prospects become overwhelmed. Not enough detail, and prospects don't convert. Spiralyze used analytics, surveys, polling, interviews, and heatmapping to determine the right features to present to each segment of prospect. Using this analysis, copy was refined to increase resonance with the target audience and their biggest concerns. Over a course of 12 sets of test concepts, Spiralyze produced wins across landing pages and web pages, ranging from 20% to 75%.